Arlington TX teeth whitening treatments have advanced significantly. The team at Stephen Ratcliff, Family & Cosmetic Dentistry is trained on the safest and most effective products and systems. If you need the latest dental info on Zoom teeth whitening or other whitening options, schedule a consultation by calling 817-274-7875. At Stephen Ratcliff, Family & Cosmetic Dentistry in Arlington TX, we are excited about new light tooth whitening systems. If you are worried about tooth whitening sensitivity, light whitening systems may provide a great solution. It is important to avoid at-home whitening smile products if you are concerned about tooth whitening sensitivity. We recommend administering whitening bleach in a tightly controlled, professional environment such as our dental office in Arlington TX. Arlington TX orthodontia patients will appreciate the range of choices now available in clear braces,too. Clear braces bring teeth into alignment without the bulky metal of previous types of braces. If you weren’t able to get braces for crooked teeth when you were a kid, it is not too late; with the latest teeth straightening treatments in Arlington TX, you can finally transform your smile without bulky or inconvenient braces. Come to our Arlington TX family dentistry practice and we can show you before and after braces photos, and discuss your options. 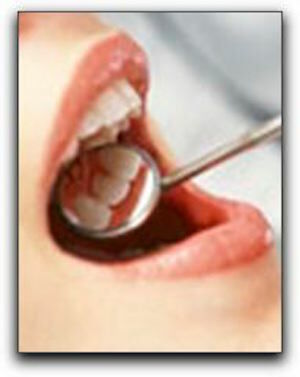 Stephen Ratcliff, Family & Cosmetic Dentistry is located at 909 W Mitchell St, Arlington, TX in Arlington, Texas 76013. Give us a call at 817-274-7875, or visit us on the web at our cosmetic dentistry website located at https://www.myarlingtoncosmeticdentist.com.